New Author 14th January 2018 Arsenal, arsene, Exclusive, FA Cup, football, premiership, wengerTagged chelsea, community, jose, mourinho, Shield, trophy, wembleyLeave a Comment on Community Shield 2015 – Does it Matter? The 2nd of August sees Arsenal given the opportunity to defend silverware at Wembley again – after doing the same thing so comprehensively in their 4-0 drubbing of Aston Villa in the F.A Cup. Unlike that glorious reclamation of the oldest football competition in the world though – does the Shield actually matter in the grand scheme of things? The previous season saw the Gunners send out a message to all competitors with a comprehensive 3-0 victory over Manchester City – who were the current title holders. Arsenal cut open City at will with vibrant football which looked to seamlessly carry over the good feelings generated by the Gunners winning the F.A Cup a few months previously. The message transpired to be lost in transit however. Arsene Wenger’s men started the domestic season in disappointing fashion which was in stark contrast to the nature of the seasons curtain raiser at Wembley. Two games won out of the first eight saw the Gunners looking at London rivals Chelsea in the distance and had fans worrying over yet another battle for Champions League slots. It seemed that the optimism that was generated by the two previous Wembley displays dissipated quickly after yet another title tilt ending before the halfway mark of the campaign. The win and the nature of the win against Manuel Pellegrini should have enabled Arsenal to continue in the same vein, surf along the wave of confidence, confident in the knowledge that they can compete with the best the League has to offer. Instead, injuries and inept displays conspired to keep the Gunners looking up at their rivals rather than peering down the table. It took until January – and coincidentally another excellent victory over Manchester City – to recover the impetus lost. If it weren’t for the whirling dervish Alexis Sanchez and the on-form Jack Wilshere in the first three months of the season, Arsenal may have found recovery a little more difficult. Injuries are, of course, part and parcel of the game, but the amount of players missing significant chunks of the season really racked up in the first half of the League. Ozil, Giroud, Wilshere, Koscielny, Walcott, Oxlade-Chamberlain, Arteta, Debuchy and more all became uncomfortably familiar with the treatment table and were forced to watch from the sidelines as Arsenal gamely struggled with missing players and poor form. It doesn’t explain what happened to the team which took apart Manchester City only weeks before though. The swagger with which Santi, Ramsey and co cut the City backline to ribbons disappeared almost instantly. There wasn’t a hint of the polished attack and stout defence which silenced the Citizens at Wembley. So, does the match on August the 2nd matter a jot, aside from a runout for fringe players? The short answer is yes. It matters a lot. 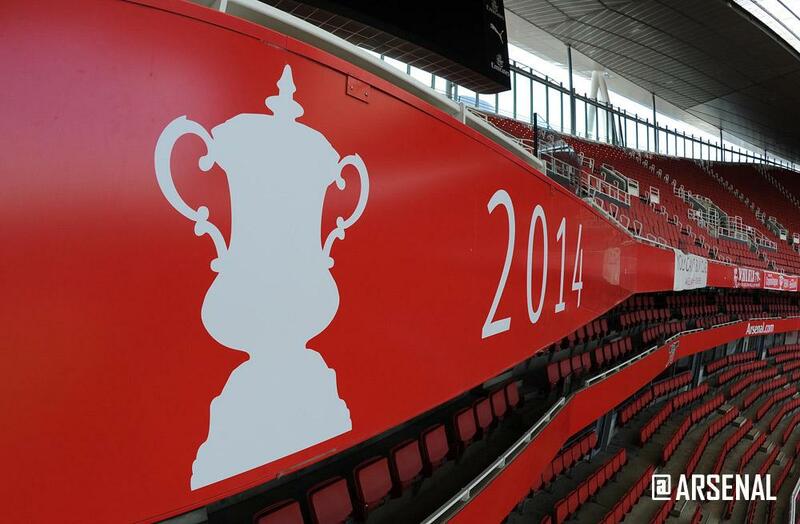 Even though among the numerous trophy placards that are displayed around The Emirates no Shield wins are listed, the chance to once more climb those steps at Wembley and hold aloft a prize cannot be overlooked. While last years opponents were always going to be contenders last season, this years competition gives Wenger an opportunity to give his main rival a painful reminder of the challenge he faces. Any victory, moral or otherwise, over Jose Mourinho is a victory worth fighting for. The woeful record Wenger has versus Mourinho will be mentioned in the build-up more often than the teams themselves. Mourinho will give the journalists the soundbites they crave but he will send out his troops with the intention of shutting down the beautiful game Wenger enjoys playing. Victory is all that Mourinho desires. Aesthetics aren’t remembered in fifty years. It is only the winners which etch themselves permanently in the annals. 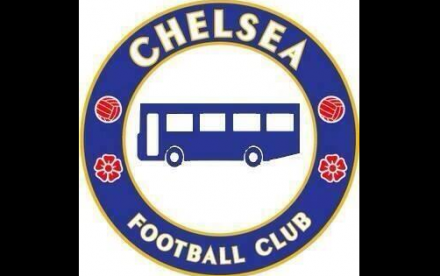 So it will be business as usual in the Chelsea camp, with the buses refuelled and primed for another blockade. Wenger must use this occasion to remind the Portuguese controversy-chaser that Arsenal can match whatever is brought to the pitch. That his mind is just as sharp as his and that his tactics can be just as effective. Not only this, but there will be the small matter of tens of thousands of Gooners attending in the hope of finally being able to celebrate a win over a team who are fast becoming the chief rival to the North London side. Arsenal, the manager and the players, have a duty to treat this match as seriously as the fans will be. 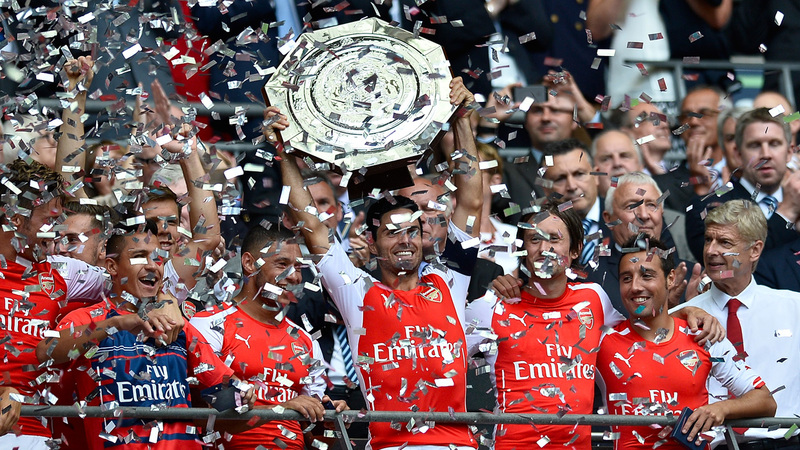 At Wembley and in a raft of pubs – Gooners will be hoping. A win against Chelsea would be the message that was meant to be read by all rivals last season. That Arsenal are back and are ready to compete. The Premier League fight has begun.